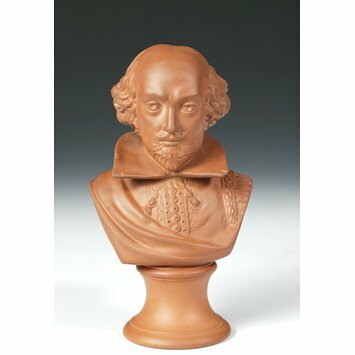 This bust of William Shakespeare (1564-1616) is a copy of an 18th century sculpture by Louis-François Roubiliac (1702-1762). This small bust was produced in the late 19th century by the Watcombe Terracotta Clay Company Ltd., founded in 1869 by George Allen at Watcombe, near Torquay, after fine terracotta clay was discovered there. Since there was little local experience of pottery, Allen appointed a manager and a turner from Staffordshire where it was a well-established industry. Other workers were apprenticed locally and learned their art at the local Cottage Art Schools. Following the establishment of Allen's firm the Devon pottery industry grew rapidly and other firms were established in the late 19th century including the Torquay Terra Cotta Company which also employed ceramic artists and pottery turners from Staffordshire, and exhibited items at the 1878 Paris Exhibition. Devon potteries produced a wide range of wares as well as busts like this for the household market. 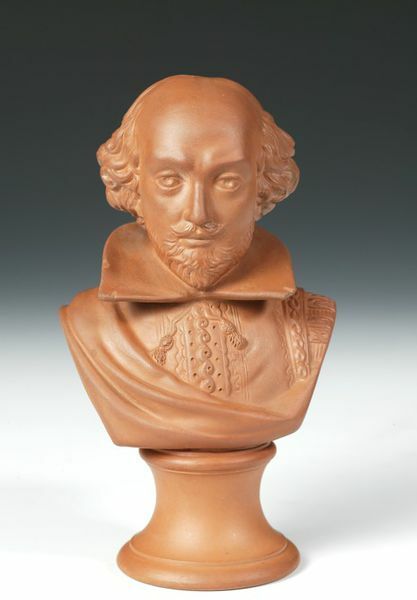 Terracotta coloured bust of Shakespeare on integral circular plinth. Around a circular mark stamped on the back of the bust. 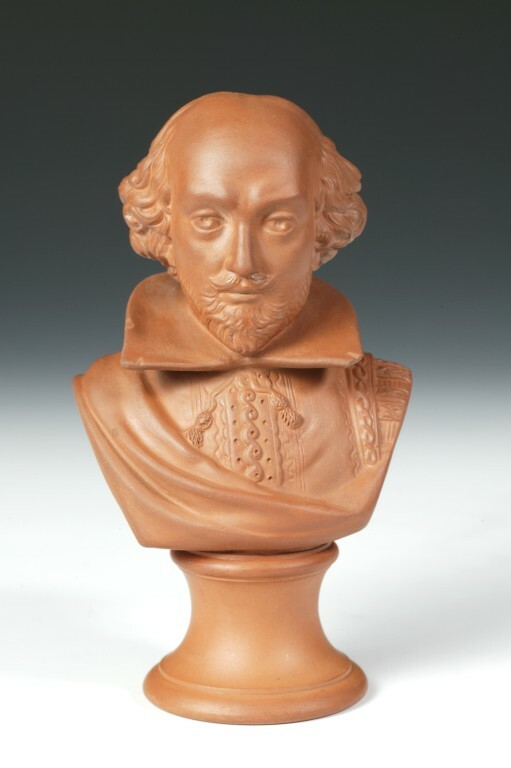 Bust of William Shakespeare (1564-1616), terra cotta, Watcombe Terracotta Company, c.1880.